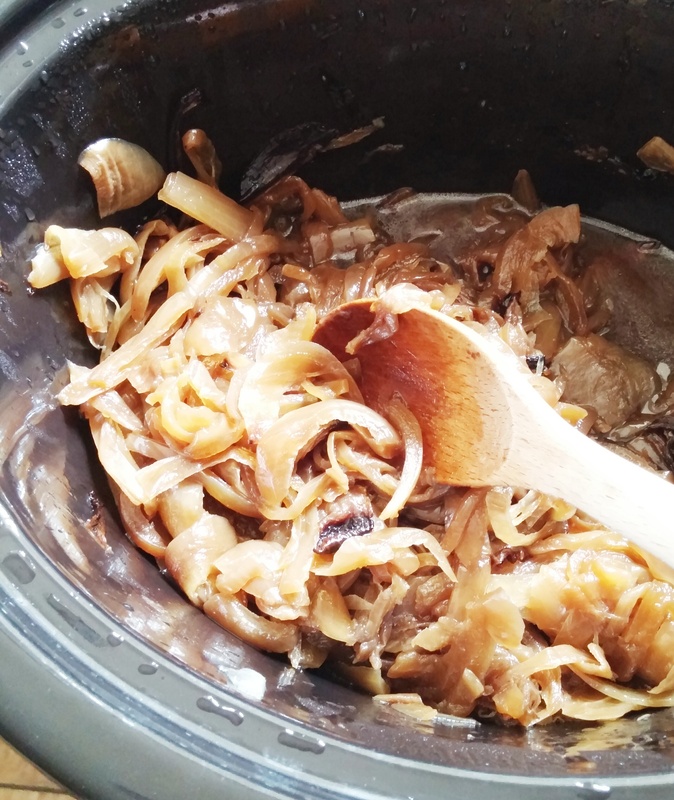 I’m sliding in just under the wire here with my slow cooker caramelized onions recipe. It’s my choice for this month’s Recipe Redux challenge: cook once, eat twice. You see, I’ve been a bit busy co-producing the Savor Dallas Festival, a four day wine and food extravaganza showcasing the finest Dallas chefs, restaurants and artisans as well as unparalleled wine, beer and spirit makers. The best way to describe it is to say that it’s our answer to the Aspen Food and Wine Festival. It’s become a signature event for Dallas and that makes me quite proud. I’ve been a volunteer for this event for 9 years (the only year I missed was because of childbirth) and this year, it was my pleasure to join the event management team. Most of you have no idea about my life away from the blog–producing small and large scale food/wine/wellness events is something I’ve been doing for over 15 years. I love it-the sleepless night, the stress, the exhaustion-all of it. Why? Because the payoff of seeing people enjoying themselves is worth it and because being a part of something important to the food and wine landscape of the city I’ve called home for 25 years is priceless. Ok. Enough of that. Back to the Recipe Redux. My choice for the cook once, eat twice challenge is the humble onion. Caramelizing onions takes time and patience, two things I don’t have much of at 5:00pm M-F. To caramelize correctly, it takes me about 40 minutes. I can have an entire dinner on the table and nearly eaten in that time..so I leave the time consuming work to the good old crock pot. Typically, I’ll do it overnight (Have you ever woken up to the smell of caramelized onions? It’s divine!). Best of all, the onions can be frozen for later use. When caramelized, the onion elevates nearly every dish from egg to sandwiches, fajitas, burgers, pasta, tacos, salads, pizzas, dips and more. Cook up a few mushrooms and toss with the onions and you’ve got a great veggie side for chicken, beef or pork. Slice 4-5 large onions into crescent shapes or into rings. Add to crockpot-it should be half to three- quarters full. Add 3 T olive oil and 1/2 t salt. Toss evenly to coat. Cook covered on LOW for 8-10 hours. Stir occasionally if you are around. If not, don’t worry about it. Now check out these other delicious and healthy 2-for-1 recipes from my fellow Reduxers! It always amazes me that you can do so many things with a crock pot! How cool to know about this. I love caramelized onions too. They are so naturally sweet. Have fun organizing your event. Sounds like a blast! What a fun event! I’ve been to the Aspen F & W Festival before and it’s quite amazing. Sounds like your Dallas event is spectacular!! As for your onions, I’m with you on the time and effort that typically goes into making them. I love your slow cooker method and will be giving it a try. Plus, caramelized onions freeze well, so there’s plenty of room for leftovers. Have you frozen them before? Wow! The festival sounds like so much fun..and delicious, of course! I absolutely LOVE the smell of onions caramelizing in the skillet. However, it does test my pateince, and I end up not seeing it through completion. Love the idea of caramelizing a huge batch of onions in the slow cooker – perfect for meal prep!! Thanks for the inspiration! Liz, I have not personally frozen them as I use them quickly. Here’s a great article from Thekitchn.com—and if they say it can be done, I am not one to argue! Min-some people love to wake up to freshly brewed coffee or baking bread–I love the smell of these onions!!! Robin, sounds like such a fabulous food and wine event to bring to fruition (sleepless nights and all!). I have never made caramelized onions in the slow cooker and remember you mentioning this before. Not sure about waking up to the smell of onions :), but am sure the end result is well worth it. Love love caramelized onions on everything, so need to try this. Jenny-thanks so much. It was truly an amazing weekend of events. You would LOVE it! 🙂 Hope you are great! Thanks, Alanna. They are much more mild when caramelized and lend so much flavor to dishes. Hope you enjoy! LOVE this! Who knew? My crockpot is ready to go! How fabulous you have been working on the Dallas food and wine event. Sounds like so much fun! Love caramelized onions and they do freeze well! Never would have thought they can be made in a slow cooker! Thanks, Jessica! It was a great event and I’m now fully recovered! Glad you like the post. LMK if you try it and if the girls like them! Oh my gosh this is brilliant! I love caramelized onions but never want to take the time to make them myself. Now I have no excuse! Such an easy way to do it…without lifting a finger! 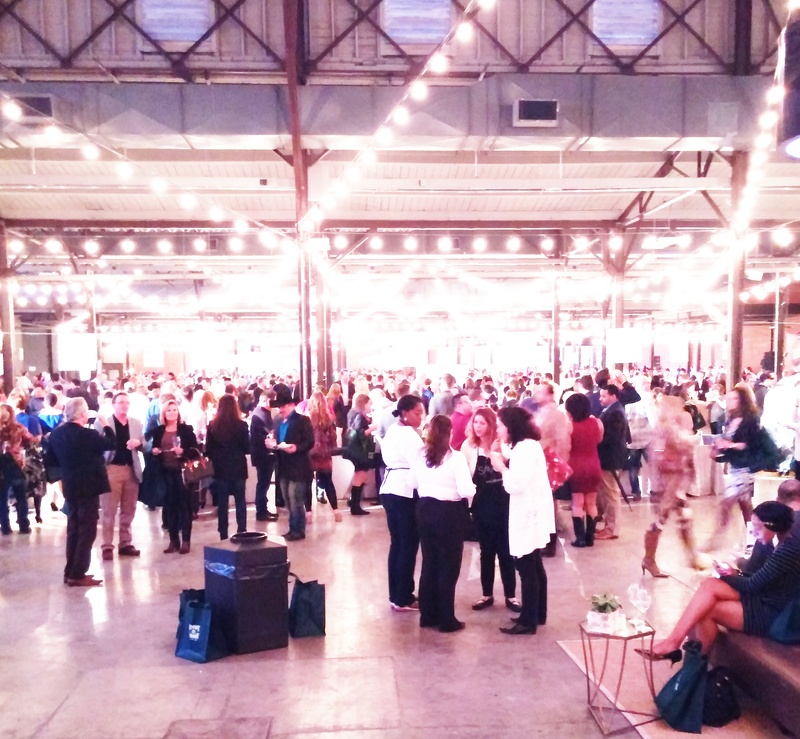 can you believe i have yet to attend the dallas savor? such a shame, for some reason i always have something or the other going on this time of the year..i would absolutely love to participate next year…on a different note, i love caramelized onions, esp on a pizza. this is a life saver. In the slow cooker right now. Smells amazing! Ohhhh! Let me know how they turnout!